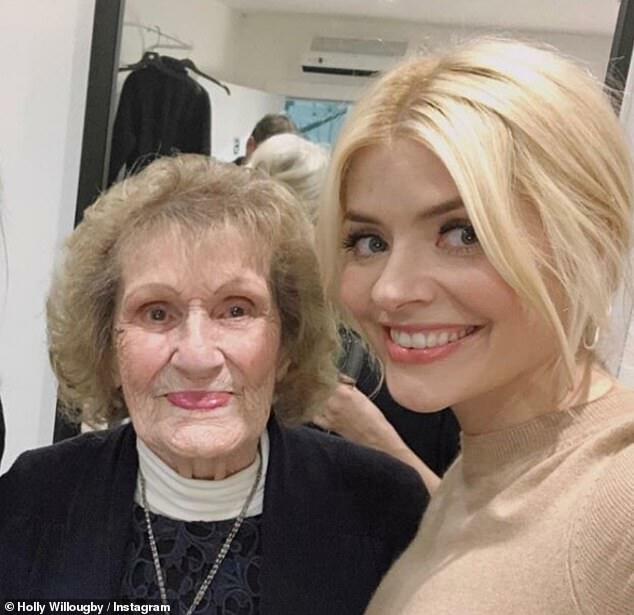 Aside from being a total supermum to her own three children, Holly Willoughby was celebrating her mother Linda on Sunday. The 38-year-old TV presenter paid tribute to her ‘ma’ on Mother’s Day this weekend, posting a picture to show their striking resemblance. 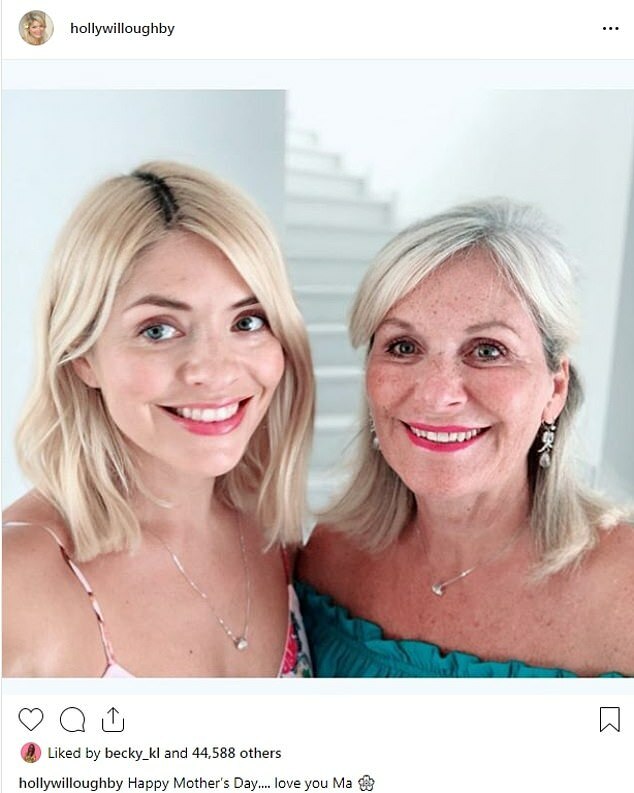 Holly and 70-year-old Linda stood side-by-side for the snap, wowing fans with their matching smiles, light eyes and similar shoulder-length hairstyles. Holly wrote: ‘Happy Mother’s Day… love you Ma’ and then she posted a sweet emoji of a flower. This Morning star Holly went for a minimal make-up look while her mum slicked on some pink lipstick and styled her hair into an elegant half-up do. Just three weeks ago, Holly supported her mother Lynne through the funeral of her own mum. Holly’s This Morning co-presenter Phillip Schofield sent his love to Holly’s family, especially her mum, while the TV star missed the show to attend the funeral. Despite having three children of her own – Harry, nine, Belle, seven, and four-year-old Chester – to spoil of her rotten, Holly made sure her mum was feeling the love on Sunday. Her family-orientated weekend kicked off with a trip to Chessington World Of Adventures with the kids on Saturday. 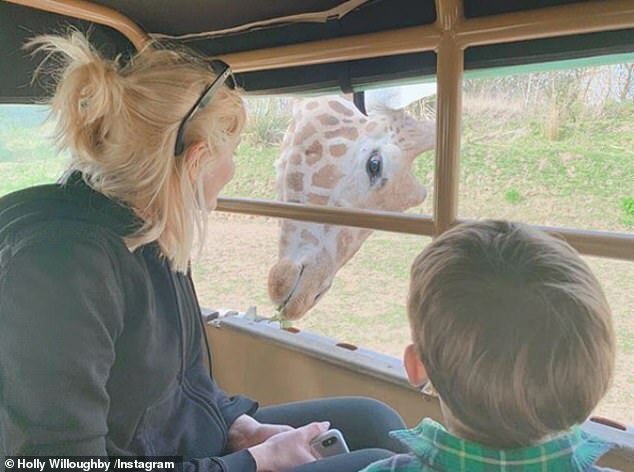 Holly was pictured on a mini safari with son Harry, and was also joined by sister Kelly’s family. But Holly – who is married to TV producer Dan Baldwin – didn’t set her expectations high for Mothering Sunday, as she revealed on This Morning recently. During a segment presenting the best gifts for Mother’s Day, Holly said all she wanted was breakfast in bed this year – which no doubt makes a delightful change to getting up early for the ITV morning show.